People with a tutoring background (especially those with a love of nature!) are a large part of our volunteer teams’ success here at VanDusen Gardens. I want to share with you a wonderful volunteer opportunity of School Program Leader, which we have begun recruiting for, here at the Gardens and if you might be able to help spread the word among your network of retired Principals, it would be much appreciated. School Program Leaders engage K-4 students through interactive outdoor field trips at the Garden. These volunteers have a love of working with children, and a respect for the environment – they support the VanDusen mission by connecting hundreds of groups of students and teachers to plants through safe, fun, and high quality 90-minute environmental education programs (rain or shine!). Volunteers are the heart of the Canadian Red Cross. They share their time and skills to help others across Canada as part of the largest humanitarian organization in the world. 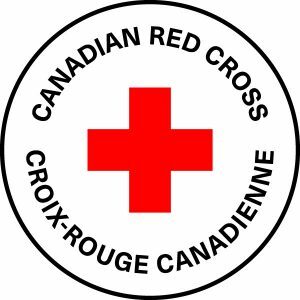 Every day, the Canadian Red Cross responds to the needs of people affected by fires, floods and other disasters. For example, Vernon’s Cor Zandbergen has provided support in countless disasters across Canada, including ice storms. He leads the Red Cross North Okanagan Personal Disaster Assistance Team, ensuring emergency social services are available to impacted people across a land base of more than 7,800 square kilometres. Cor was recently recognized with the Order of Red Cross, receiving the Society’s highest honour for his incredible service, helping thousands of people. We want Canadian Red Cross volunteers to get the most from their experience. We invest in our volunteers by providing training to help them build skills and maximize the learning potential in their roles. Our volunteers can expect a positive and professional environment. Ready to be part of the Canadian Red Cross? Join Dara, Cor and others like them across B.C. and Yukon. Go online to redcross.ca/volunteer or call 1-855-995-3529 for more information on volunteer opportunities in your area. 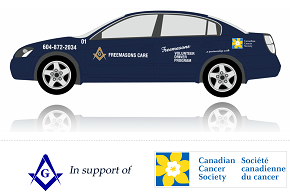 I represent the Freemason Cancer Car Program affiliated with the Canadian Cancer Society in Vancouver. We are looking for new volunteers and are reaching out to organizations such as yours to meet our current needs. Since 1989, we have provided a free service driving cancer patients to and from their treatments. Our program serves Vancouver and the immediate area, Vancouver Island, the Interior, and Prince George. The service is run by volunteers and is funded by the Freemasons of British Columbia-Yukon and with donations from past and current cancer patients. Our volunteers drive once, or if they wish, twice a week during a morning or afternoon shift from 7 until 5, Monday to Friday. If you have an upcoming meeting, I would like to attend to briefly promote our program to your members. If you do not have such a meeting, I would appreciate if our appeal were included in any member newsletters/communications or as a link on your website if you would so permit. I am available by email or by the phone number listed below to answer any questions you may have. Also below, please find our website address. I’d like to introduce myself electronically as the NEW Volunteer Coordinator with ONE TO ONE Literacy Society. This school-year our team of more than 350 volunteers dedicated their time and energy to help struggling young readers in Vancouver-area public schools with the opportunity to practice reading with a patient, caring adult. In September 2018 we will welcome 12 more schools to the program and accordingly will desire many more volunteers. In the past you have been essential to helping ONE TO ONE engage book lovers with our program, and I am hoping you will be happy to help again this summer. If appropriate, we’d love for you to share the following Recruitment Information with your members between August 1 - September 30, 2018. If you would like any print materials for posting, posters or a brochure, please let me know. Be a BC Principal in JAPAN! Osaka Gakugei is a BC Offshore School in Osaka, Japan. OGCIS is a successfully inspected BC Offshore School opening in April 1, 2019 with two classes of Grade 10 students. Students are entering a fully academic BC Program taught by BC trained, experienced and certified teachers. Entrance standards for this program are high as the students work towards a BC Graduation Dogwood Diploma. Our “sister school” in Tokyo is in its fourth year, with grads accepted to UBC, top national and international universities around the world. There is a proposed third BC Offshore School in Japan in the near future. a minimum of three years’ experience in a BC public, independent or offshore school. Have you considered becoming a mentor for new BC Principals or Vice-Principals? The BCPVPA launched a provincial mentorship program in 2017 matching volunteer retired principals/vice-principals with newly appointed colleagues across the province, recognizing the unique responsibilities and challenges encountered in transitioning into administrative leadership. The program matches mentors with new colleagues in districts different to their own. We are seeking new mentors for the upcoming school year to meet the growing request for mentorship support. The volunteer commitment is for an hour a week of coaching conversation with your mentee, plus follow up emails and texts. The program includes mentor/coach training for new mentors in Nanaimo on Oct.18 and 19 as part of the Connecting Leaders Conference (required), plus invitational webinars and mentor support workshops in February and May. An honorarium and a copy of the text “When Mentoring Meets Coaching” is provided in appreciation of your commitment. Mentoring is a reciprocal process that enriches the learning of all –-- mentors, mentees, teachers and students. If interested, please link https://bcpvpa.bc.ca/mentorship/ to the mentor application and submit to the BCPVPA by August 31st. Are you interested in volunteering your time to a young adult? Would you be willing to support one of B.C.’s graduating students? The Cmolik Foundation is a not-for-profit Family Foundation that awards scholarships to financially challenged youth that have demonstrated tenacity to overcome significant life barriers. What do mentors do? Mentors build a positive, caring relationship with a young adult. Mentors provide emotional support and encouragement to help students reach their personal and career goals. Mentors serve as positive role models and friends to help build student motivation. Mentors are part of a larger network of community volunteers investing their time and talents in the lives of young people. Mentors make a difference. We ask our mentors to connect with their students at least once a month during the school term either via phone, face-to-face, email, or text. We also ask our mentors to remain with their student until they complete their post secondary studies. Mentors will have access to our brand new on-line resource materials and instructional videos produced in partnership with the University of British Columbia. If you yourself or anyone you know might like to provide guidance to young adults in post-secondary studies, please contact me directly before the end of March, 2018.